Sorry, Alien fans, but it looks like Alien: Covenant really may have killed the franchise. At least for a while. Ridley Scott has insisted that he's going to make another Alien movie, completing his prequel trilogy, but Fox may have other ideas. 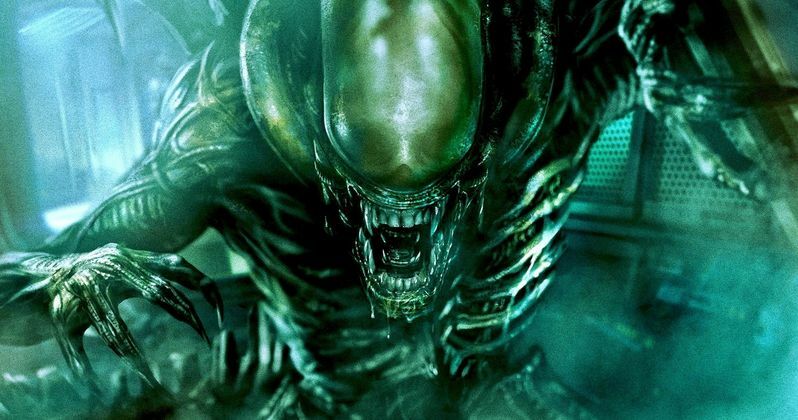 A new report suggests that the studio has completely scrapped plans for Alien: Awakening, the proposed sequel to Alien: Covenant. This should be regarded as rumor for now, but someone who reportedly worked on Alien: Covenant is saying, via a forum on Blu-Ray.com, that the studio has scrapped plans for the sequel. Again, this is an unconfirmed source, so don't go too crazy, but this information is pretty telling, even though it doesn't sound like the most reliable source in the world. It's also seemed for a while like the sequel, which is said to be titled Alien: Awakening, may be in trouble anyway. Here's what the source, who goes by the screen name HumanMedia, had to say about it. "The sequel to Covenant was originally due to start preproduction this month in Sydney. After the box office results filming was canceled, and a warehouse storage unit full of stuff was auctioned off a few months ago. So the original plan of pumping out another quickly has definitely changed with no immediate plans for anything." Indeed, we had heard that Ridley Scott was feeling confident and wanted to start filming the next Alien movie next year. So pre-production starting around this time would make sense. Unfortunately, Alien: Covenant was divisive among critics and fans and tremendously underperformed at the box office. The movie made just $240 million worldwide. Not at all what Fox was hoping for, given the $97 million budget. That aside, in a recent interview, Scott says they're going to make the sequel and that it's going to be in a new direction. Fox initially seemed insanely confident about Alien: Covenant, bumping the release date up several months from August to May. That decision may have hurt the box office, but it was the divisive nature of the movie that really seemed to hurt things. In any case, it sounds like the Alien franchise's only hope may be Ridley Scott's sheer will to see this movie happen. And with Disney's recent purchase of Fox set to shake things up, this movie probably needs to happen relatively soon, or it may not ever happen at all. Disney is currently mulling over which Fox franchises it wants to reboot. And with Alien having an R-rating associated with it, it may be one franchise that gets the Boot from Disney. Given this new info, via AVP Galaxy, the possibility of it happening soon may be off the table.